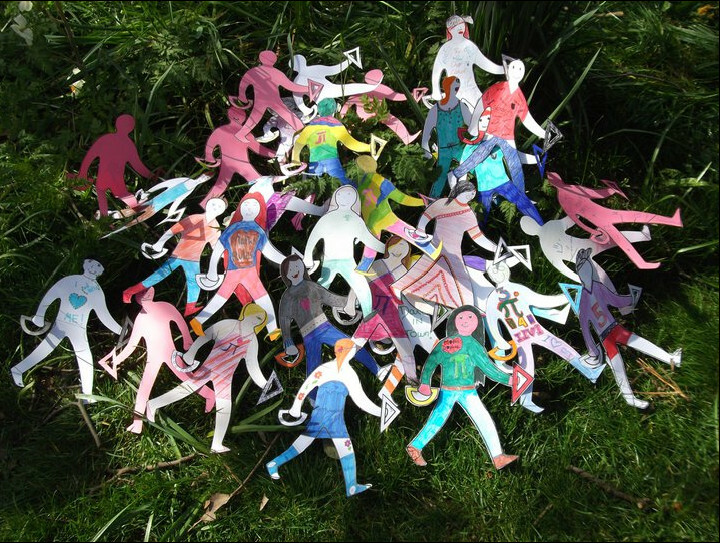 To paraphrase Dave White in the first blog post in this series about the Maths in the City project, engaging the public is a delicate business, particularly when you want meaningful levels of involvement. Getting involved in Maths in the City takes effort. 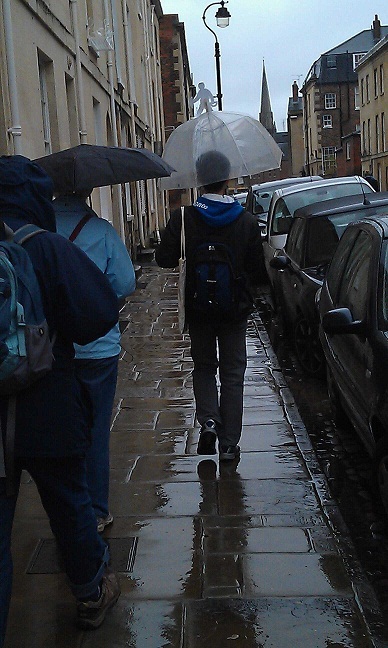 We ran mathematical walking tours in the snow, hail and pouring rain and in most of these tours, everyone who booked turned up. Creating an example of maths in the city on our website requires registration and then at least ten minutes to post a picture and write about it. The quality of some of the examples suggest that far more time than this has been invested. We are in regular communication with followers/fans on Twitter and Facebook who don’t know the names and faces of the people behind the tweets and posts. So why are all these people so keen to participate? Here are our top four reasons. We launched Maths in the City on an unsuspecting world by announcing a competition. We offered serious prizes and the quality of entries were superb. To see a list of winners and what they won, visit this page on the Maths in the City website. The competition is responsible for 60% of the examples of maths in the city on this site. Winners and runners up included a man from Ireland, a group from Spain and a young lady from Hong Kong. Despite the fact that we could not pay for travel, all winners and runners up attended an award day at Oxford except for the girl from Hong Kong, who sent a video message. Pictures from the award day are available on Flickr. One maths teacher from Walthamstow School for Girls used Maths Dave in her lessons; her class did such a great job with their Maths Daves and Davinas that the teacher and two students were invited to the competition award day to receive a special prize on behalf of the class. A year later we had the pleasure of taking 60 girls from the school on our London maths tour. 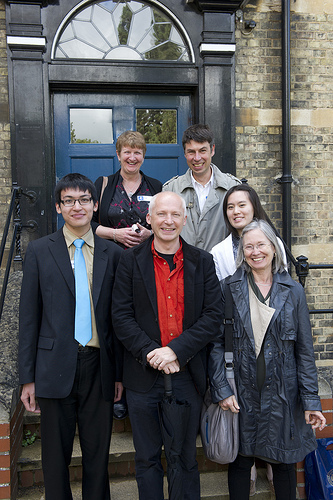 The Maths in the City project is produced and managed by us lot at TALL. We also design online courses, including The Number Mysteries, which is based on a book written by Marcus du Sautoy of the same title. 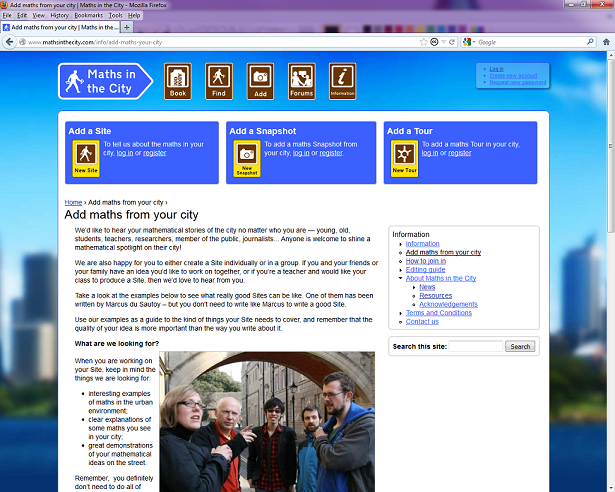 This course includes an assignment option in which students write an example of maths in the city, which they can add to mathsinthecity.com once it has been marked. Here is an example on Umhlanga Pier, written by a South African student. 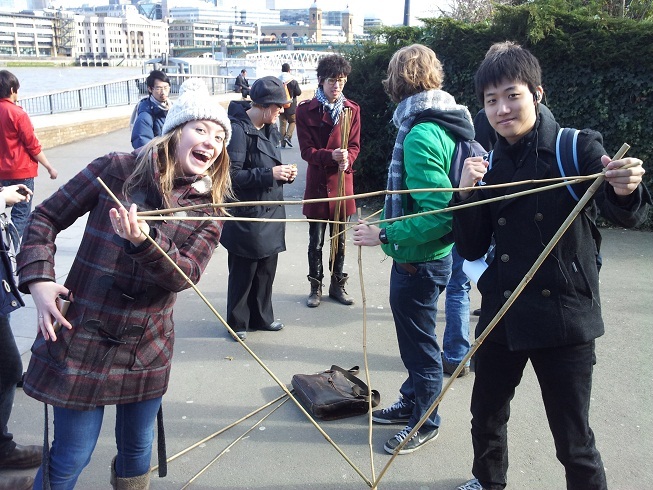 Students of the Number Mysteries course appear to enjoy the opportunity to share their work in a public place and the project benefits from a steady stream of high quality examples of maths in the city from around the world. The lifeblood of this project has been the student volunteers who have helped to design the walking tours, lead the walking tours and engage with the public through our social media channels. A journalist from the Oxford Times was so charmed by one of our volunteers that I think he fell a little bit in love. Read his article ‘Oxford by numbers’ and judge for yourself. These are our top four reasons why we got meaningful engagement with the public. Do you have other reasons that have come from your experience in public engagement? Please tell us by commenting below or by dropping us a line on Facebook and Twitter. This entry was posted by tindalls on Friday, September 21st, 2012 at 8:01 am	and is filed under community, creative commons, EPSRC, Maths in the City, OER, Open Educational Resources, public engagement, teaching and learning. You can follow any responses to this entry through the RSS 2.0 feed. Both comments and pings are currently closed.